Central University of Jammu organised a Rock concert on “New India Manthan-Sankalp Se Siddhi” progamme on 1st Sep, 2017 at Temporary Academic Block Sainik Colony, Jammu. As conceived and implemented by the HRD Ministry, CUJ is one among 75 institutes were selected for “Ye India KA Time Hai” Concert including IITs, NITs and IIMs across the country. The gathering was welcomed by Prof. Devanand, Dean Students Welfare, Central University ,Jammu. A Delhi based Rock band named “Kabul & Rock Veda band” delighted the audiences with spectacular performance with fusion of western and classic instruments. 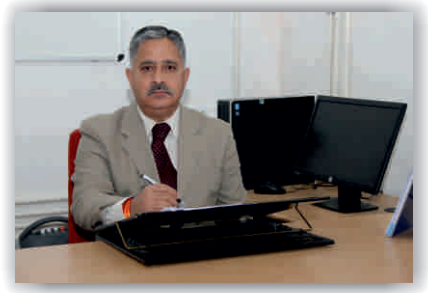 Prof. Ashok Aima, the Vice Chancellor of Central University, Jammu inagurated the event. A pledge was taken on the occasion for a New India by 2022, for clean India, to remove poverty from India, for corruption free India, a terrorism free India , a communalism free India , a casteism free India . He emphasised the Central Government’s objective to develop India by developing the grass root section of the nation and apprised on the data of the most backward districts of the nation which needs to be quickly facilitated so that they can grow together along with the rest of the nation. He also exhorted the governmental officials to co-operate and work together so that every sector can be touched at the developmental level. The “Seven Point Strategies for Sankalp Se Siddhi” was also read out by all the students and the staff. Music Jockey Ms. Juhie Mohan from 92.7FM anchored the event and interacted with the huge gathering of students. A senior Professor mentioned that this is the first time that CUJ is hosting such mega event since its inception. The programme ended with a formal the Vote of thanks by the coordinator of the event Dr. J.Jeganaathan, Programme Coordinator of NSS.